BOOK YOUR LERN 2018 HOTEL TODAY! 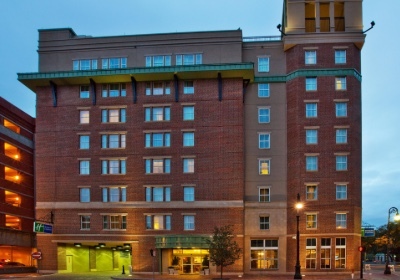 With the LERN conference being held at the Savannah Trade Center, you have 8 great hotels from which to choose, with conference rates of just $129 – $195. 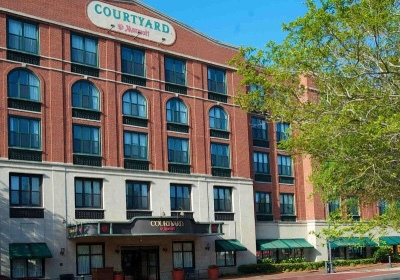 All hotels are in the downtown historic architecture district, within walking distance of the river, shops, restaurants, beautiful squares and historic homes. All hotels will have scheduled complimentary shuttle service to and from the LERN Conference at the Trade Center. You may also take the fun water taxi across the river to the Trade Center anytime. All 8 hotel locations include the LERN room block registration discount and FREE registration to the all-day seminar on Tuesday, Nov. 6. Make Your Hotel Reservation Here. To get your LERN room rate, registration discount and FREE seminar, use the Savannah Convention Bureau’s Housing Department’s Passkey system. Click the Reserve a Hotel button below. 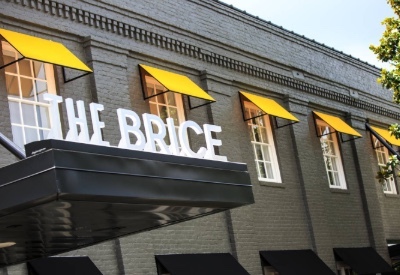 To make a reservation by phone, you may call 912-644-6465, Monday through Friday, 9 a.m. to 5 p.m. ET. Hyatt Regency, 2 West Bay Street, $195 a night single/double. 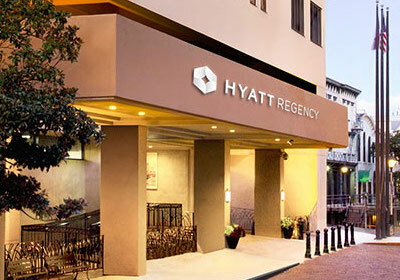 LERN has designated the Hyatt as the headquarter hotel, and site of the Lumens/Augusoft User Summit. 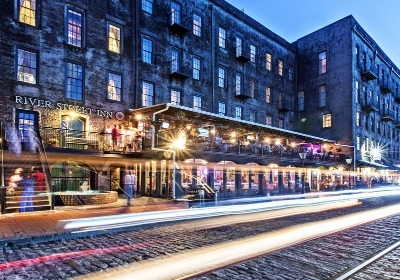 The hotel straddles two of the most popular streets for dining and bar hopping, Bay and River Streets. 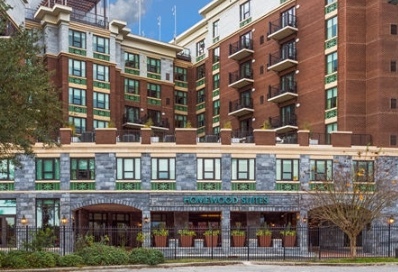 It is also the hotel closest to the water taxi stop that goes directly to the Trade Center. 125 rooms at LERN rate; Rate before and after conference dates is $195; complimentary wifi in guest room; Triple $220; Quad $245; parking $31/day; Brand: Hyatt Regency. 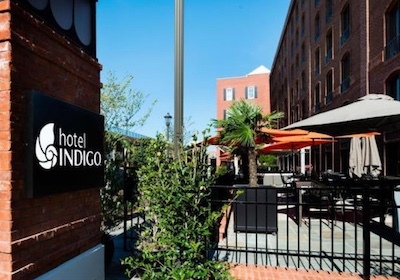 Indigo’s location is ideal for shopping, dining, and night life since it is the hotel closest to Market Square with restaurants and bars and to the more well-known retailers located on Broughton Street. 100 rooms at LERN rate; Rate for Nov 3 also $189, rate for nights of Nov 9-10, $209; Triple and Quad rates also $189 Nov 3-8; Complimentary wifi in guest rooms; parking $30/day; Pets $75/pet; Brand: IHG. The lobby feels like an inviting living room where everyone meets at 5 p.m. daily for a complimentary glass of wine and each morning for a cup of complimentary coffee or tea. Enjoy the use of a complimentary bicycle or bring your pet at no extra cost. 80 rooms at LERN rate; Rate for Nov 3 $319, rate for nights of Nov 9-10 $189 for first ten rooms, then $319; Triple and Quad rates also $189 Nov 4-8; Rewards members get complimentary wifi in guest room; parking $29/day; Complimentary evening reception; complimentary coffee and tea in lobby in morning;(already stated above) very pet friendly; complimentary bicycle use; Brand: IHG. A great place to stay while saving money. It’s also the closest hotel to the Crystal Beer Parlor, The Public Kitchen and Bar, J. Christopher’s, and Mrs. Wilkes Dining Room, all of which serve up great food and are adored by the local populace! 35 rooms at LERN rate; Rate for Nov 3 and nights of Nov 9-10 also just $129; Triple and Quad also just $129; Complimentary wifi in guest rooms; parking $20/day; breakfast buffet discounted to $6.95 per person; Brand: Marriott. An all-suite experience, roof top bars with entertainment, and great views of the river. Each suite has one bed, one sofa bed, and a complete kitchen. It is just a short walk to the water taxi and the first stop after the taxi leaves the Trade Center. 30 rooms at LERN rate; room rate $219 for Nov 3 and nights of Nov 9-10; Triple and Quad rate also $169 for Nov 4-8; complimentary wifi in guest rooms; complimentary breakfast; complimentary evening reception Mon-Thurs; all suite hotel with kitchens, one bed and one sofa bed; roof top bar with fire pit and music; laundry facility; parking $26/day; Brand: Hilton. Hampton Inn Savannah Historic District, 201 East Bay Street, $175 single/double Nov 4-8. This hotel and its sister property across the street sold out first for our last convention here. You’ll get an upgraded experience compared to the same hotel outside Savannah along with a great rate and excellent location. 30 rooms at LERN rate; room rate $309 for Nov 3 and $229 for nights of Nov 9-10; Triple and Quad also $175 for Nov 4-8; complimentary wifi in guest rooms; complimentary breakfast; complimentary coffee and tea in lobby in morning; parking $22/day; Brand: Hilton. 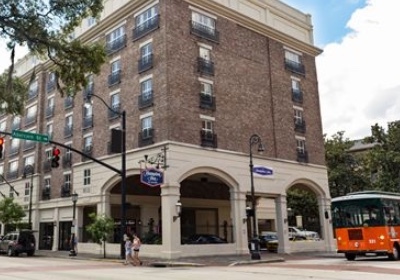 Holiday Inn Express Savannah-Historic District, 199 East Bay Street, $170 Nov 4-8. 20 rooms at LERN rate; room rate $309 for Nov 3 and $229 for nights of Nov 9-10; Triple and Quad also $170 for Nov 4-8; complimentary wifi in guest rooms; complimentary breakfast; complimentary coffee and tea in lobby in morning; parking $22/day; Brand: IHG. A great location and a historic hotel. It’s located in what was a 200 year old cotton warehouse and is listed with the National Trust for Historic Preservation. It is also a very short walk to the water taxi stop that goes directly to the Trade Center. 20 rooms at LERN rate; Triple $174, Quad $189 for Nov 4-8; Rooms not available for Nov 3, rate is $219 for nights of Nov 9-10; hotel is recognized as a historic hotel; complimentary evening reception with full bar and snacks; complimentary coffee and tea in lobby in morning; parking $22/day. Please Note: Rooms in the LERN room block may sell out in advance of the October 15 cutoff date, so make your hotel reservation as soon as possible. Room rates do not include taxes or fees. Hotels will not accept purchase orders for reservations.